The latest FNB/BER Consumer Confidence Index (CCI) for the first quarter of 2016 stands at -9 index points. Considering it plummeted to -14 in the fourth quarter of 2015, from -5 in the third quarter of 2015, consumer confidence has recovered somewhat. The marginal upswing in consumer confidence in the first quarter of this year can be attributed to consumers rating their financial positions better and an upswing in the economic outlook rating from record lows. The financial position sub-index went up by 6 points to +10, while economic outlook bounced back to -14, from a 22-year low of -24. Then again, consumers evidently feel that now is not the time for buying durable goods. The ‘time to buy durable goods’ index fell further by 1 point to a 6½ year record low of -22. Simply put, consumers are still of the opinion that our country’s economic prospects will continue to deteriorate over the upcoming year. Though a small majority are optimistic that their household finances will rally. Higher income households were responsible for pushing up the financial positions sub-index. Over five years of low consumer confidence, high-income households have remained optimistic. High-income households steadfastly report high levels of confidence in their financial prospects, despite rating the country’s economic prospects as low. Conversely, the lowest levels of confidence in economic outlook, personal finances and overall confidence are consistently reported by low-income households. This is indicative of pervasive income inequality. Our economy is caught in the grips of stagflation, according to FNB’s chief economist Sizwe Nxedlana. Real economic growth declined to a meagre 0.3% year-on-year in the fourth quarter of 2015. Moreover, the CPI inflation rate accelerated to 7% in February this year from 4.6% in September last year. “To be sure, adverse developments such as the slump in international commodity prices and political turmoil, low business confidence levels, a severe drought, soaring food prices and rising interest rates continue to weigh down domestic economic growth and job creation prospects,” he said. Last year, there was a 1.0% point increase in the marginal income tax rate for those who earn over R181 900/year. This year, further considerable tax hikes are expected. However, some taxpayers may have been encouraged by the partial fiscal drag relief announced at this year’s budget speech. Additionally, the gains made by the rand against the dollar to R14.75/$ at present from a low of R16.80/$ in mid-January have improved high-income consumers’ confidence levels. On the other hand, the ‘time to buy durable goods’ CCI sub-index tumbled to -22 during the first quarter of 2016. During the recession, this sub-index was at -23 in the third quarter of 2009. Nxedlana stressed that “with interest rate hikes announced in the last three consecutive SARB Monetary Policy Committee meetings (November, January and March), the prime interest rate has increased by a full percentage point over the last four and a half months. This is evident in the severe decline in new car sales over the past year, which fell by 5.7% last year. Additionally, dropping by 8.5% year-on-year in the first quarter of this year. Irrespective of the marginal upturn in the CCI, the index is still extremely depressed, indicating that households are reluctant to spend and use credit. Consumer confidence levels have lingered in the negatives across all income groups in the first quarter of 2016. Moreover, after March 22, during the weeks following the first quarter survey fieldwork, the petrol price was raised by 83c. Food prices are about to skyrocket in the wake of devastating drought, adversely affecting the buying power of low to middle income households. “Given that the heydays of easy access to unsecured credit, extraordinarily low interest rates and strong growth in public sector employment and wages are now behind us, we expect the growth in real consumer spending to slow further during 2016,” Nxedlana stated. Consumer confidence surveys offer frequent evaluations of consumer expectations and attitudes, and are used to assess economic prospects and trends. CCI surveys are designed to investigate why consumer expectations change, and how this affects their spending and saving. The first quarter survey fieldwork was completed between February 25 and March 22 this year. 2 500 consumers in South Africa are asked three questions and their answers are combined to form the FNB/BER CCI. Consumers are asked to rate how they expect the economy to perform, how they expect their household’s financial position to fare, and how appropriate a time they think it is to buy durable goods, i.e. cars, furniture, appliances etc. Low levels of confidence show that consumers are worried about the future. They could be concerned about job security, salary increases and bonuses. With this temperament, consumers are inclined to only spend on the basics, such as food and services, freeing up their income to repay debt. When confidence levels are high, consumers are inclined to accumulate debt, cut back on savings and spend more on discretionary purchases, like cars, furniture, appliances, clothing etc. They tend to buy some of these items on credit. Consumers spend less on discretionary items when confidence is low. Households can usually postpone purchases, without it affecting their living conditions immediately in such circumstances. 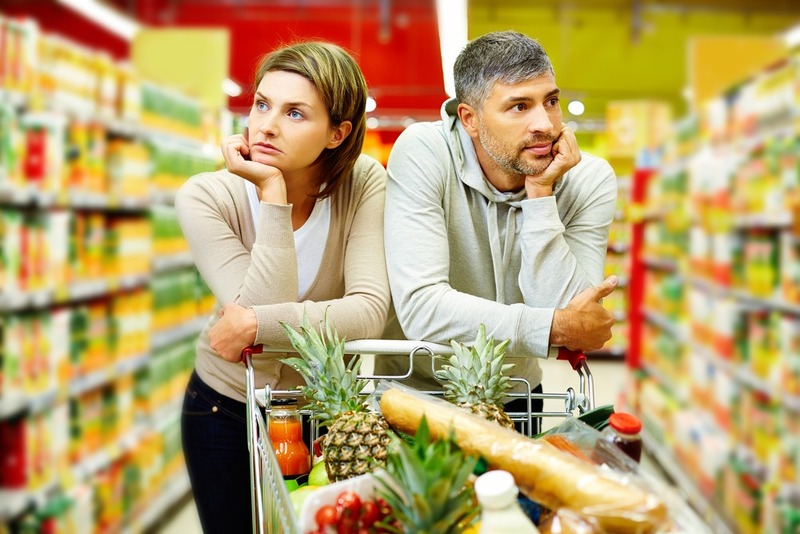 An increase in consumer confidence levels indicates that consumers are more willing to spend. Then again, this willingness only converts into sales, if their capacity to spend improves. Consumers’ capacity to spend is contingent on their income and access to credit. An upswing in the index may result in households spending more on consumables in general, especially retail and car sales. The opposite applies in the case of a decline in consumer confidence – as is the case right now.